Gone are those days when the boring Toyota Prius was the only choice when it came to hybrid cars. Now the market has a long list of exceptionally good PHEVs and EVs on offer and finally the technology is getting more accepted by mainstream buyers. 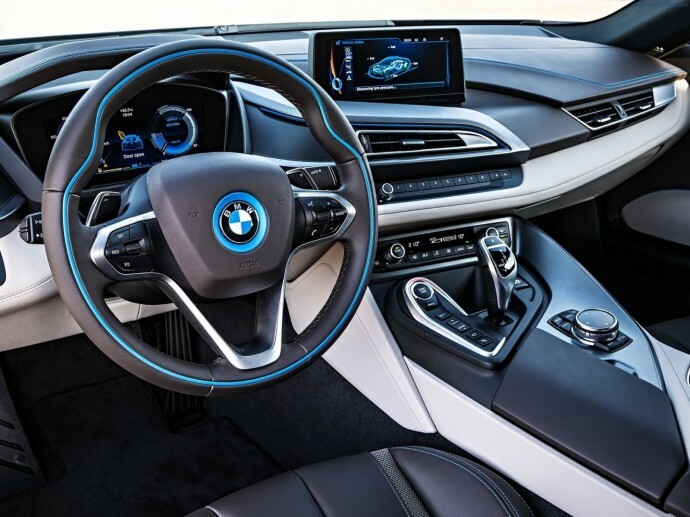 2013 has been a good year for hybrids as some of the finest machines were shown off this year and on the last day of this year, we look at 10 of the most expensive and luxurious hybrids and electric vehicles that will hit the markets in 2014. We start with the $70k hybrid SUV by Porsche which has been with us for a while now. 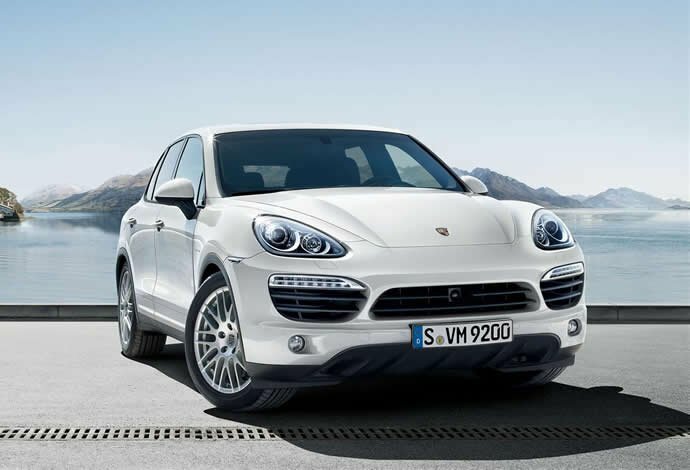 Launched at the end of 2010, the Porsche Cayenne S Hybrid combines legendary Porsche sports car performance with SUV utility and is one very capable hybrid all-wheel drive car. The 2014 model isn’t much different than the previous generation and is powered by a supercharged 333hp 3.0-liter V6 engine and a 47hp electric motor that adds 221 ft-lbs of torque. The combined output stands at 380hp and 428 ft-lbs of torque and the system is mated to an eight-speed automatic with auto stop-start. 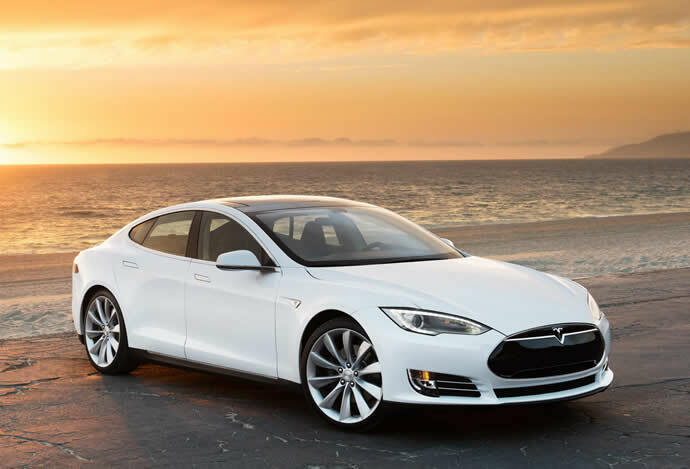 Available practically at the same price as the Cayenne Hybrid, the Tesla Model S is one of the most famous and desirable EV in the market on offer. There’s a huge waiting period on the Tesla and a used one sometimes sell for even more than the retail price. The EV has won awards since it was launched in 2012 such as the 2013 World Green Car of the Year, 2013 Motor Trend Car of the Year, Automobile Magazine’s 2013 Car of the Year, Time Magazine Best 25 Inventions of the Year 2012 award, Consumer Reports’ top-scoring car ever. It is powered by an electric motor that produces 310 kW (416 bhp), 600 Nm (443 ft-lb). 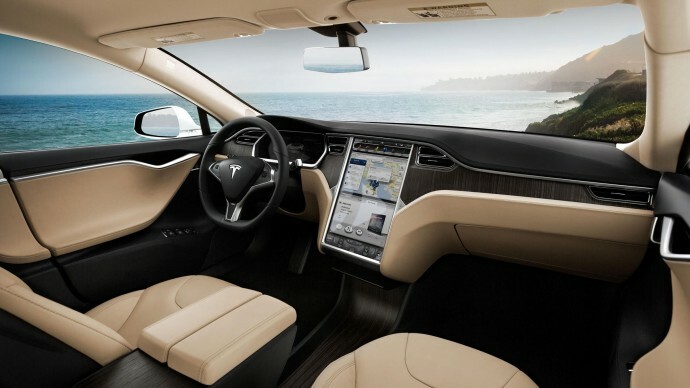 The Tesla Model S is arguably the best looking EV and the company led by Elon Musk has gone from strength to strength. 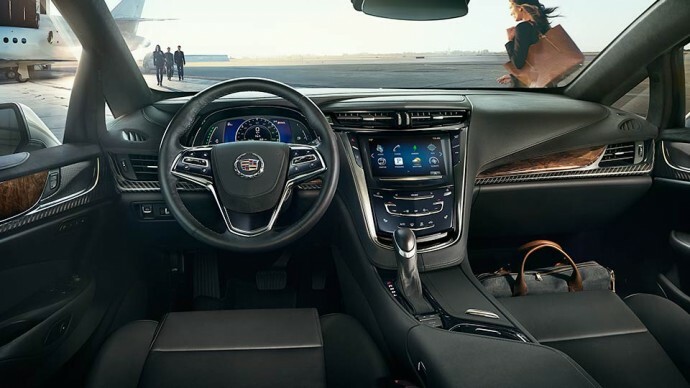 The 2-door hybrid Cadillac is simply stunning to look at. Cadillac’s first ever entry into the plug-in hybrid market, the ERL’s design closely resembles the CTS coupe but only to looks sharper and smarter. 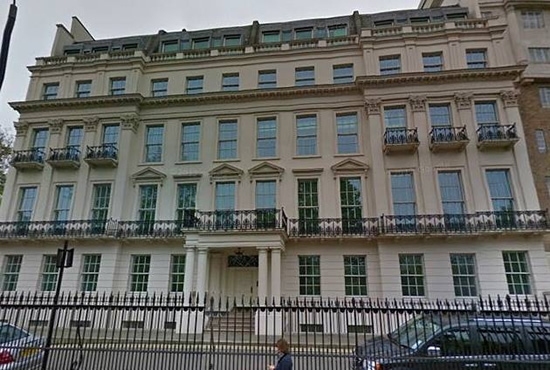 The stunning exterior is matched by an equally appealing interior. 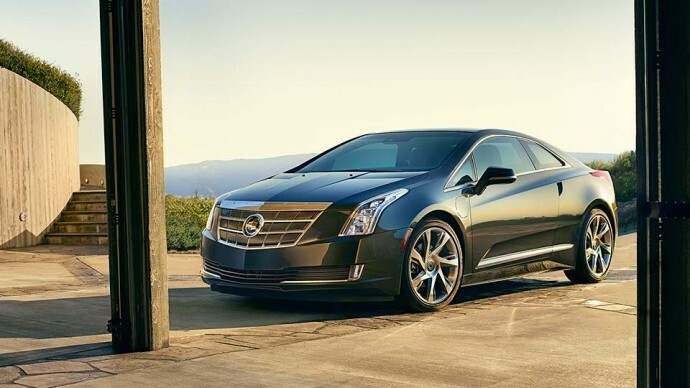 The cabin of the Cadillac ELR is bathed with top-end luxury features. It is powered by a 119-135 kilowatt electric motor but the 1398cc gasoline engine acts as a generator that charges the 16.5kWh battery. 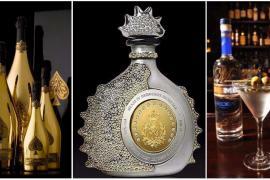 Cadillac will start delivering it by January 2014. 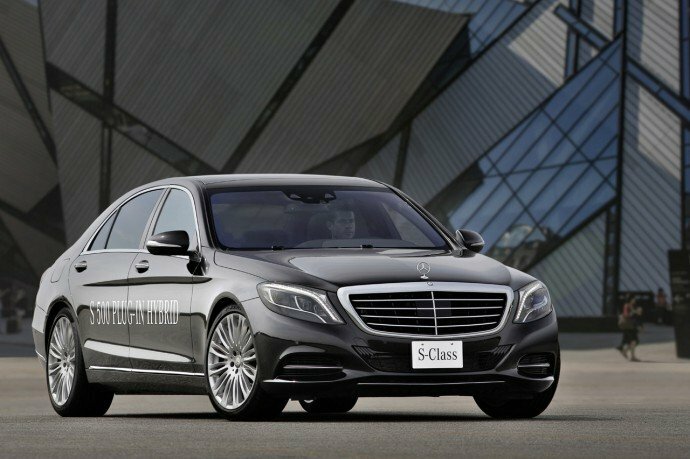 The 2014 Mercedes Benz S Class range unveiled this year has set new benchmarks for the industry just like its previous generations and the hybrid variant has to be the highpoint of the new range as far as the technology is concerned. It is powered by a 3.5-litre V6 petrol unit that produces 306 hp, which is accompanied by a 20kW electric motor. 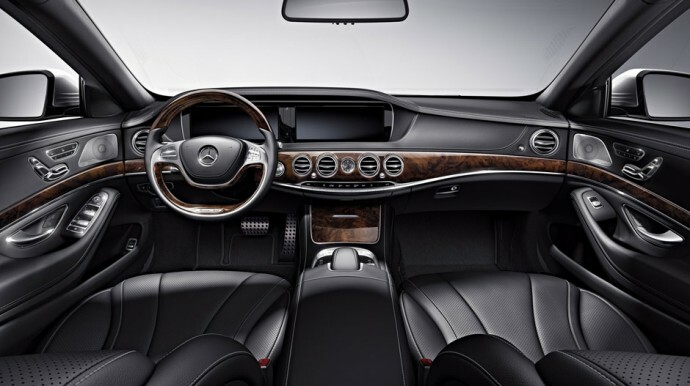 The power is channeled to the rear wheels via Mercedes’ seven-speed automatic gearbox. It has all the goodness S Class has to offer and hybrid technology not only makes it economical but also environment friendly. 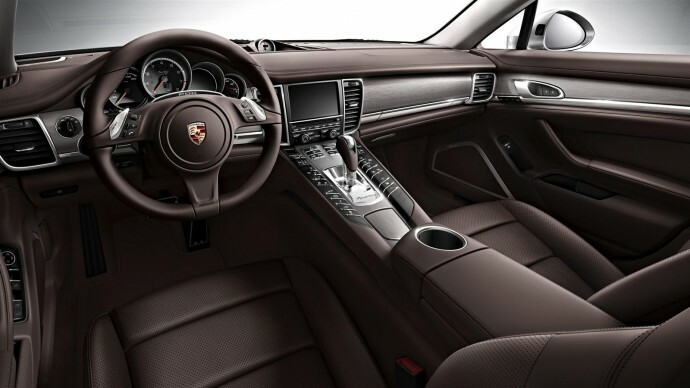 The second Porsche in the list, the Panamera S E-Hybrid might not be the best looking car but is definitely one the best luxury sportscar that fits in four people and is a PHEV. 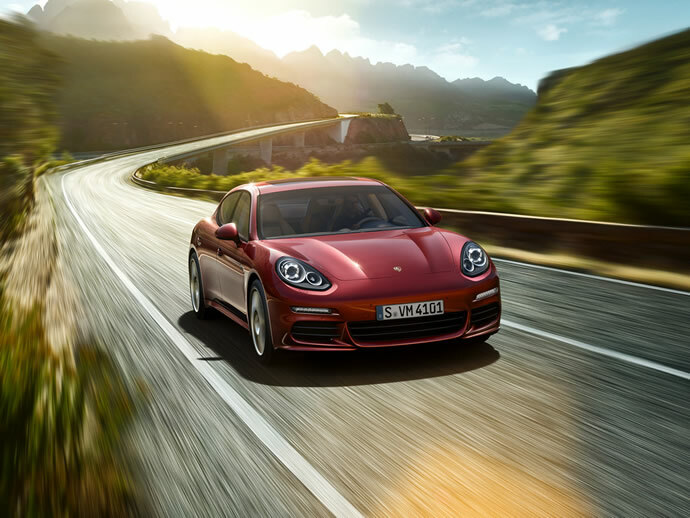 The ever expanding line-up of Panamera has gone a major change this year and the 2014 models have a lot of new additions to offer. 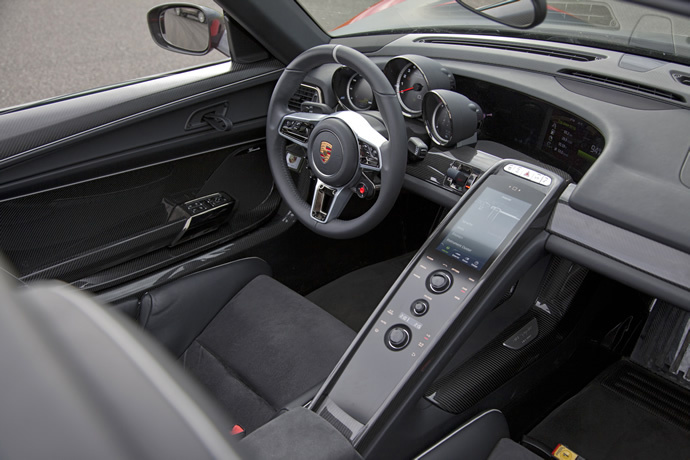 The environment friendly Porsche is powered by Audi-based 3.0-liter gas engine that produce 333hp and a 71kWh electric motor. Barring the looks, the Panamera Hybrid is an amazing car. 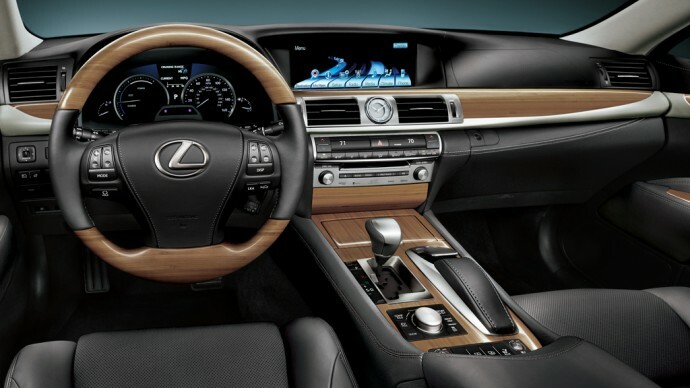 Though priced more than the Mercedes S Class Hybrid, the Lexus LS 600h L Sedan is the most expensive hybrid luxury sedan in the market. 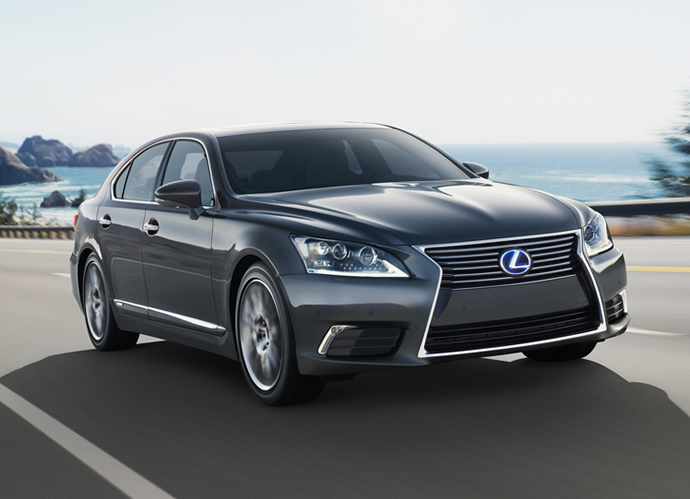 Introduced back in 2007, the LS 600h sedan has undergone many changes and the 2014 model looks stunning and premium. Like its non-hybrid siblings, the 600h model has got generous updates from its previous generations including its aggressive styling. It is powered by a 5.0-liter V8 petrol engine coupled with two electric motors and a large capacity battery pack in the trunk with a combined output of 438hp. The premium sedan can sprint from 0-to-60 mph in just 5.5 seconds. 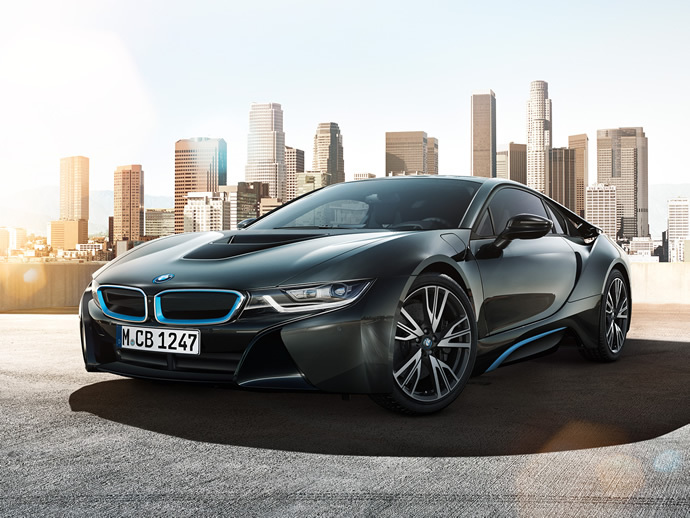 BMW i8’s production version was unveiled at this year’s Frankfurt show. Quite the showstopper at the Frankfort Motor Show, the i8 will go on sale by late 2014. It is powered by a 1,499cc i3 engine which produces 228hp and an electric motor that produces 129hp. It has a combined output of 357hp and 570Nm of torque. Now coming to the top 3 and the 3rd spot is taken by another Porsche. Shown off as a concept at the 2010 Geneva Motor Show, it was one of the most anticipated cars of this year. Porsche might have taken its time on this one but boy has it delivered. The hybrid hypercar by Porsche has received rave reviews from the industry experts and has awed everyone with its blistering performance. 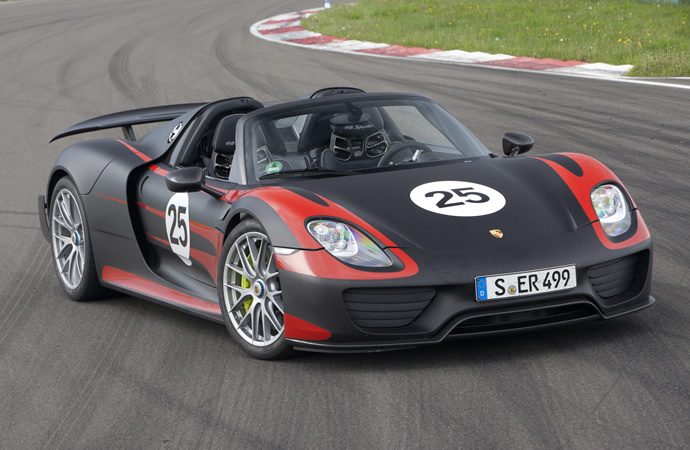 The Porsche 918 is powered by a rear-mid mounted 4.6 liter V8 engine which develops 608 horsepower and two electric motors delivering an additional 279 horsepower for a combined output of 887 horsepower. The hybrid is capable of doing the 0-62mph sprint in 2.6 seconds and has a top speed 214mph. It has already set the fastest lap at the Nurburgring setting very high benchmarks for the rest of the pack to catch up. 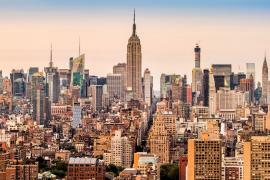 Though the prices start at $850k but adding the optional extras take cross the $1 million mark. 2013 has been the year of hybrid hypercars with three of the top European marquees showing off their hyper-performance plug-in hybrids. 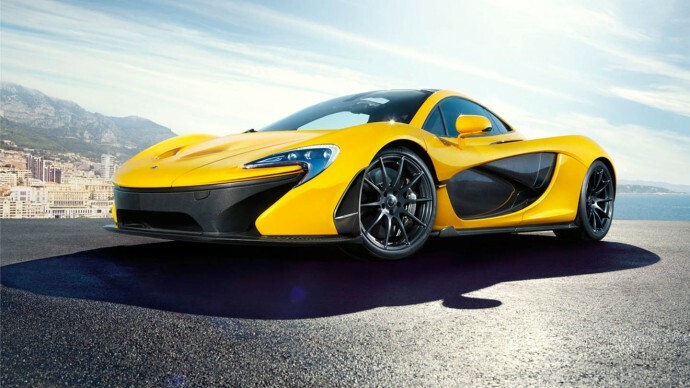 The McLaren P1 broke cover at this year’s Geneva Motor Show and even before the first few P1s were being delivered, the company announced that all the proposed 375 units were sold out. The P1 is considered as the true successor of the iconic McLaren F1 and despite all the high expectations from the hypercar, McLaren has delivered. The P1 is a proper engineering marvel with an awe-inspiring design. It is powered by a 3.8-litre twin-turbocharged V8 petrol engine which has been tuned to produce 727bhp and an electric motor that produces 176bhp. Combined, the hybrid system produces 903bhp and a peak torque of 978Nm. It can do the 0-62mph sprint in 2.8 seconds which is a tad slower than the Porsche 918 but has a theoretical top speed of 238mph which has been electronically limited to 217mph. 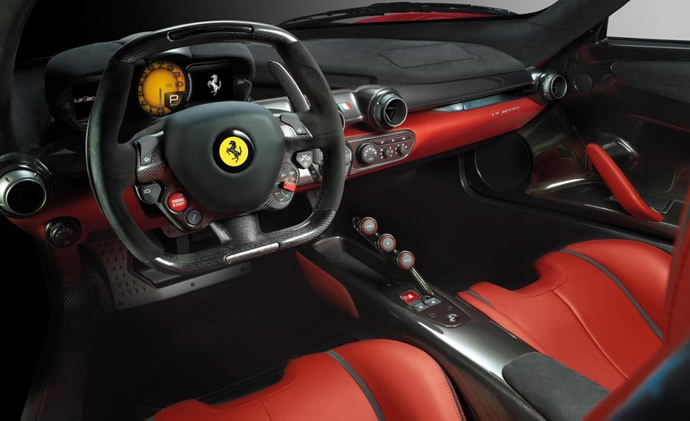 After endless speculations and anticipation, Ferrari finally took the wraps off the Enzo’s successor at the 2013 Geneva Motor Show. Codenamed the ‘F150’ but also known as the F70, Ferrari’s new flagship is the company’s first ever car to feature hybrid technology. The limited edition hypercar is the most powerful road legal Ferrari ever to be built while being environment friendly. 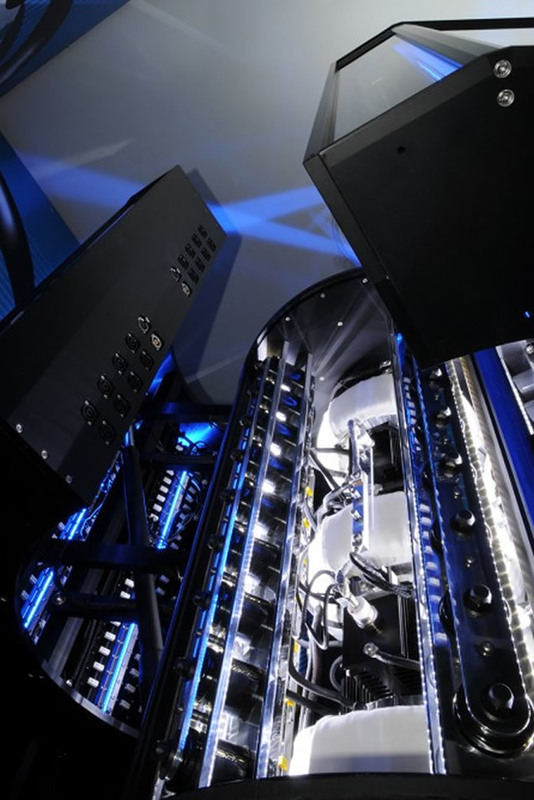 But rather than a usual plug-in charging system, it features a KERS unit (Kinetic Energy Recovery System) which charges the batteries while braking. 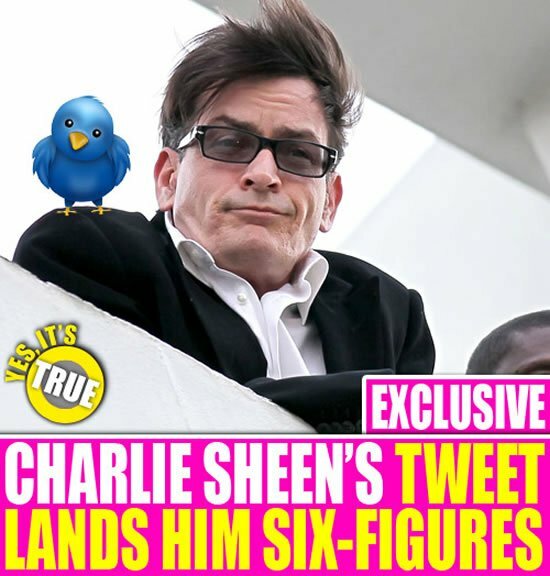 It has been directly taken from the Formula 1. The LaFerrari is powered by a 6.3L V12 engine that produces 789bhp and an electric motor that gives an extra boost of 161bhp. The combined output of the two powertrains stands at 950bhp and with a peak torque of 900Nm. But unlike other hybrids, the electric motor can’t solely run the car but only boost the total power. 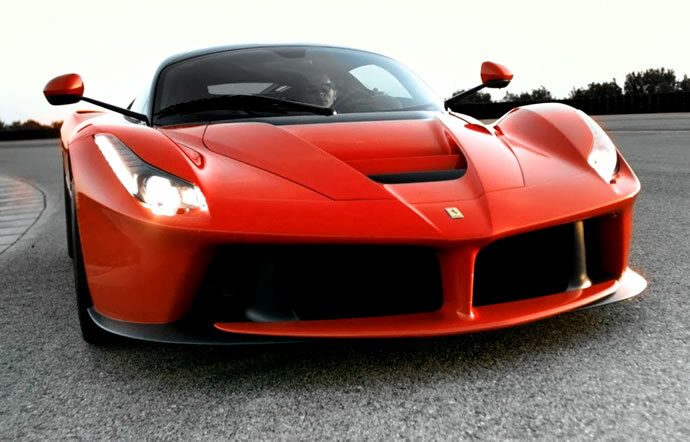 The total number of units is limited to 499 but Ferrari recently announced that all of them have sold out. 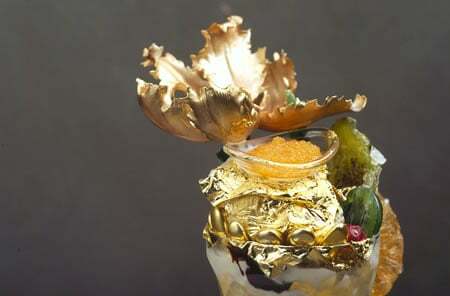 Gold leaf is most expensive food in the world for $15,000 per pound!